A few fun surprises along the way! We have many opportunities to serve on Maundy Thursday, Good Friday and our Easter services. 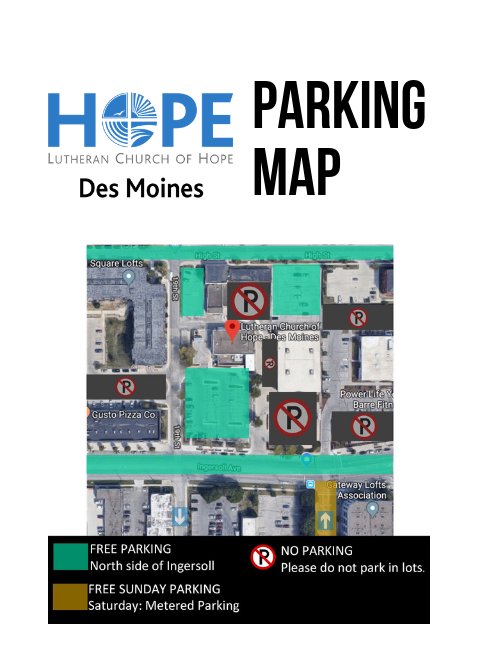 See our graphic below for a handy guide on where to park for Easter services! Click on the graphic to enlarge it. Join us outside under the big tent for crafts, games, and egg hunt trail and more! This event is geared toward kids in grade 5 and younger.